By CNN'S KEVIN DOTSON AND JOURNALIST STEFANO POZZEBON CONTRIBUTED TO THIS REPORT. Luis Valbuena of the Los Angeles Angels of Anaheim reacts to striking out against the Minnesota Twins during the first inning of the game on June 10, 2018, at Target Field in Minneapolis, Minnesota. 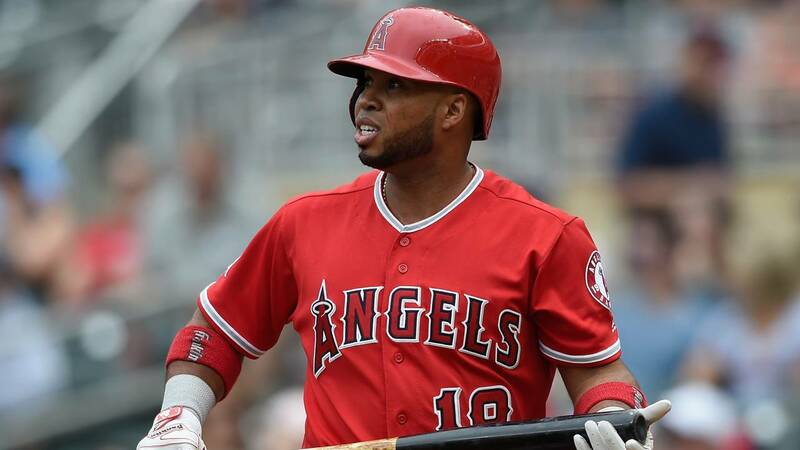 (CNN) - Former Major League Baseball infielders Luis Valbuena and José Castillo have been killed in a car crash in Venezuela after playing in the country's winter league, their team said. High speed led to the crash early Friday in Yaracuy state, a report by transit police says. The vehicle's driver lost control, and the car hit a rock, causing it to overturn, the report says. The Astros -- for whom Valbuena played 222 games in 2015 and 2016, and Castillo played 15 games in 2008 -- paid tribute to both in a prepared statement. "During his two seasons in Houston, Luis was an extremely popular player with his teammates and the Astros staff. He was a productive player on the field and played a key role in the Astros run to the postseason in 2015," the statement reads. "Off the field, he was a warm and friendly presence to all who interacted with him. "Jose's time with the Astros was brief, but he also had a positive impact on those around him. Our thoughts and prayers are with their families and friends."